The barriers to Video marketing are not as high in 2017: today, anyone with a smartphone can record and produce compelling video content if done correctly. Online videos make up 69% of internet traffic –by 2019 it will be 80%. If you aren’t already using video marketing, now would be a good time to start. Previous generations struggled with bulky cameras, primitive editing software, and mass distribution. Those limitations no longer bind us. Technology, the internet, and social media have made it possible for the layman to acquire the same mass recognition as an established professional. In a world where anyone can be responsible for the next viral craze, what can your brand do to stand apart from the pack? To start off, focus on three simple, yet essential areas of quality video. Handhelds offer high quality audio recording. Their proximity to the subject equals better vocals and cancels out a lot of background noise. Consequently, the handheld nature of the mic sticks out like a sore thumb. Also known as the Lapel mic. these clip-on microphones are small, offer great audio quality, suppress ambient noise, are inconspicuous, and allow free range movement from the subject. However, not as high quality as shotgun mics (see below). Ever heard of a point-and-shoot camera? Well, this is a point-and-record microphone. This bulky microphone picks up audio with incredible quality. In order to capture the subject’s sound , the mic must be aimed accurately. Similar to the shotgun mic, parabolic mics pick up audio from the direction it is aimed. 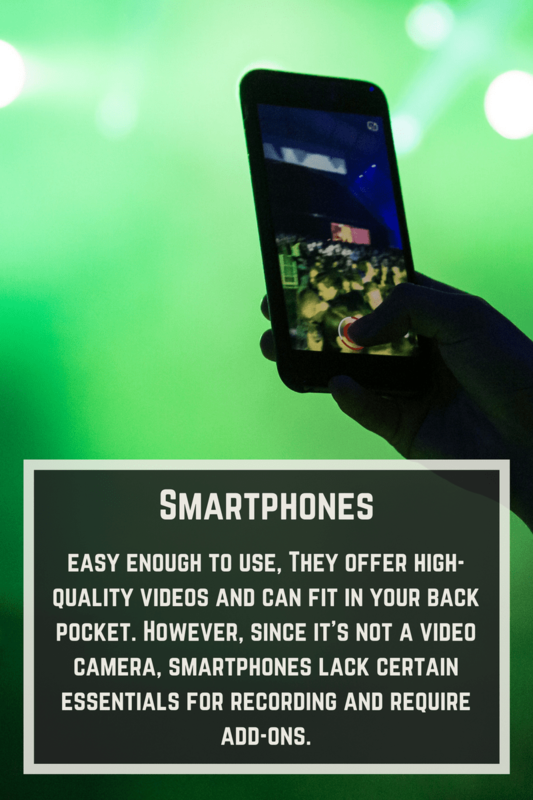 In addition, they are able to pick up sound from a further distance at a higher quality. The downside of parabolic mics is that the distance makes these mics hard to capture low-frequency noises. You want your audio’s quality to match–if not exceed–your film quality. Make sure you have the right mic for the job. 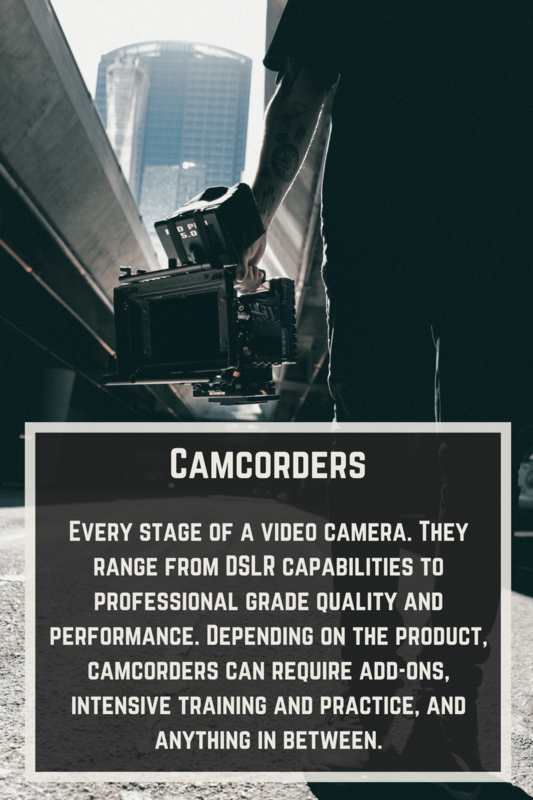 A more obvious component in producing a quality video is the camcorder. 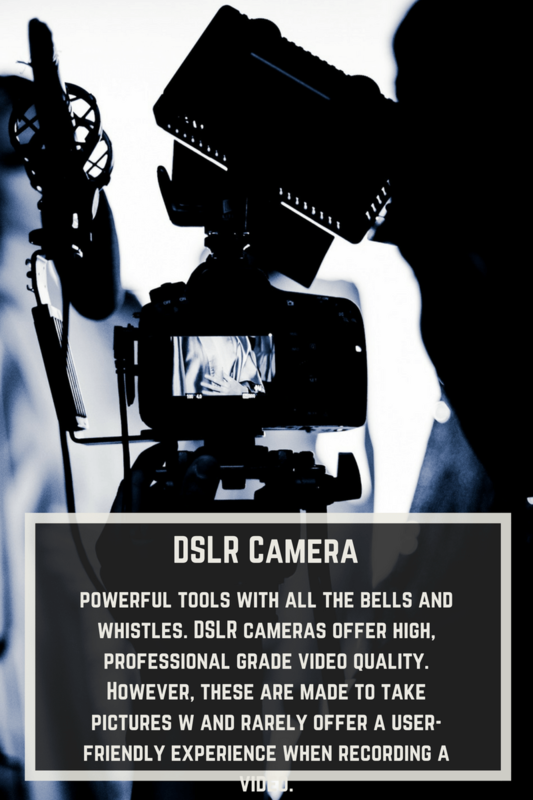 Cameras perform differently depending on the project. After the equipment is squared away, the rest comes down to your creative eye. Sounds cheesy– yes– but creativity is essential in capturing a brand’s image. Creativity can’t be taught. However, your angles, shots, lighting, and point of view will improve with practice. Bring extra batteries: you don’t want your filming session to be cut short because you didn’t account for all the battery usage in the first hour. Avoid backlighting: you want your subject to be seen. If you’re considering experimenting with video marketing, or need to improve an existing video marketing strategy, then give us a call! Our team crunches the numbers and finds the most profitable strategy that will suit your brand online. Also, if video content has piqued your interest, our videographer Ryan does incredible work.